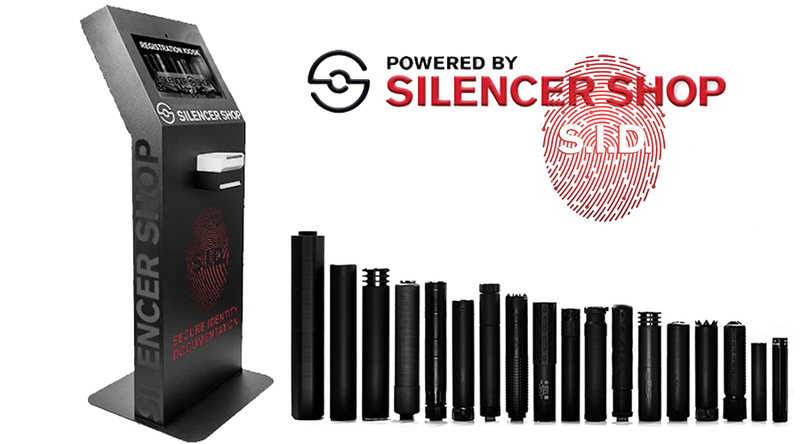 Huron Valley Guns is excited to announce that the Silencer Shop SID kiosk is now available for our customers. You are now able to purchase suppressors out of a nationwide inventory from the Silencer Shop kiosk, which makes all the paperwork simple and automatic. It is completely ATF compliant, where you fill out your form 4, take digital fingerprint scans and ID photo.....all accomplished right at the store kiosk! The Silencer Shop is a nationwide gun suppressor distributor. Their goal is to make the purchase of gun suppressors as hassle-free and as user-friendly as possible. Silencer Shop is committed to keeping consumers and the gun suppressor community informed of regulatory changes. They are always at the leading edge of making the NFA process as hassle-free and streamlined as possible. They boast a history of innovation and exemplary customer service, stocking the biggest suppressor brand names and now being able to purchase thru their Secure Identification Documentation (SID) kiosk. The changes to the ATF 41F ruling has commenced a new process for acquiring gun suppressors in the United States through Form 5320.23. In response to the ATF 41F ruling that went into effect July 13, 2016, Silencer Shop offers Secure In-Store Identification Documentation (SID) Kiosks nationwide to make the gun suppressor registration process as simple and stress-free for both suppressor dealers and consumers. Fast and easy one-time digital fingerprint scans. No more need to make an appointment to get them done manually. All "responsible persons" can be processed through S.I.D. and their fingerprints wil be stored for future purchases. Swipe your state Driver's License to autofill registration info. Updated form submission procedures now required as part of the ATF 41F changes. Our goal is to provide gun and hunting enthusiasts with high quality products and knowledgeable service. It is our mission to go out of our way to help you find exactly what you are looking for, that fits your level of experience and needs. Copyright ©2019 Huron Valley Guns, All Rights Reserved | Site designed & developed by Steve Zavori.